In December, we gave an early preview of moon phase patina (selene patina) on the ochsenblog. 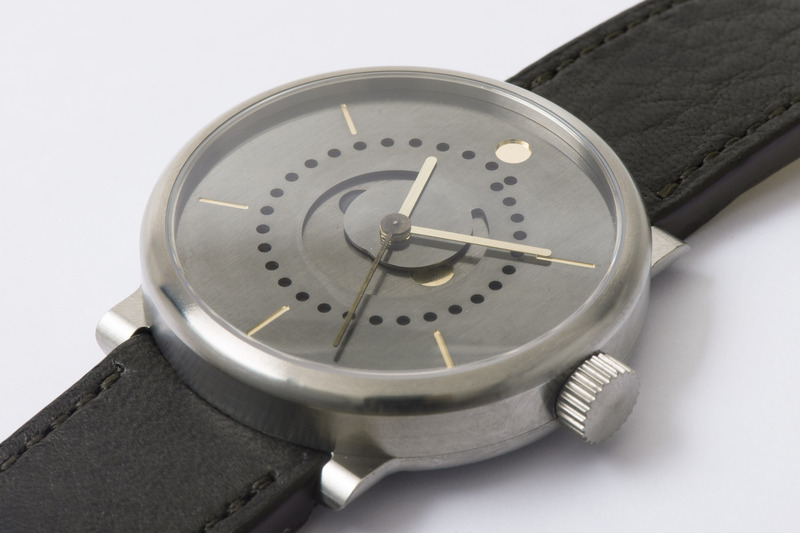 Moon phase patina features a high-contrast dial executed entirely in one material, brass. Just two metals are visible on the watch: brass (all dial components including hands) and titanium (case, crown, buckle). Just like in Ludwig Oechslin’s prototypes! It is the definitive example of Ludwig Oechslin’s functional minimalism in a modern moon phase wristwatch.